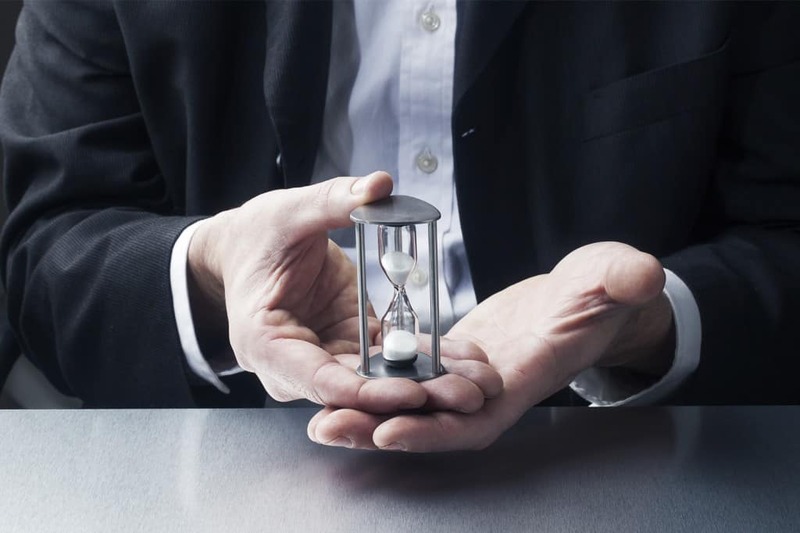 Anyone that needs to increase their personal effectiveness through time management would benefit from the content delivered with these Time Management training course materials. Modern life is busy. With so many distractions and demands on our attention, wasting time is easy to do. 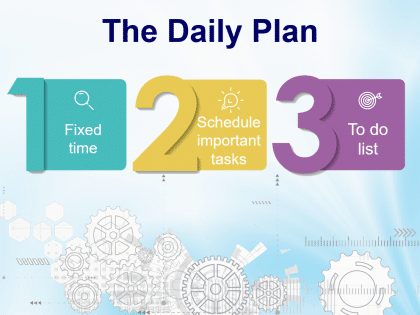 That’s why improving time management skills has never been more important to your success. With the Trainer Bubble Time Management training course you’re getting all the expert training materials you need to deliver a workshop to dramatically improve your organisation’s efficiency and productivity. 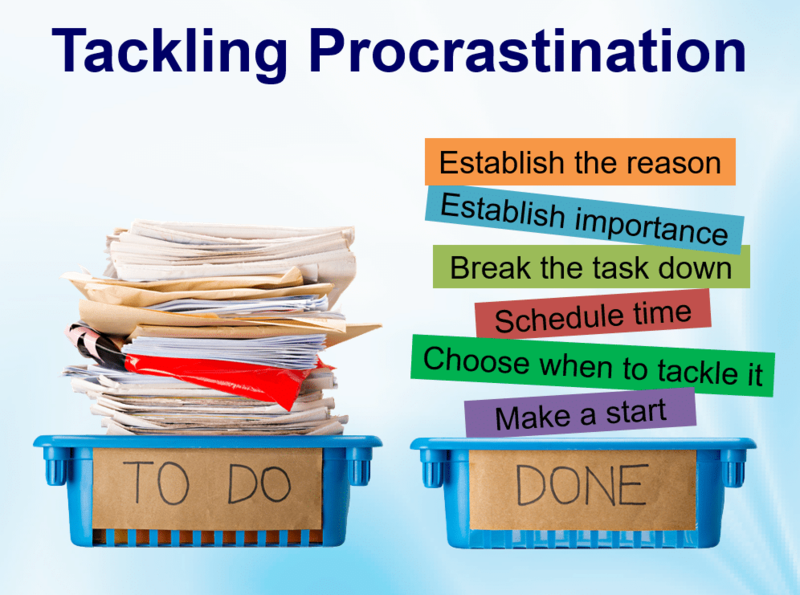 Get these benefits and more when you use our professionally created time management course. 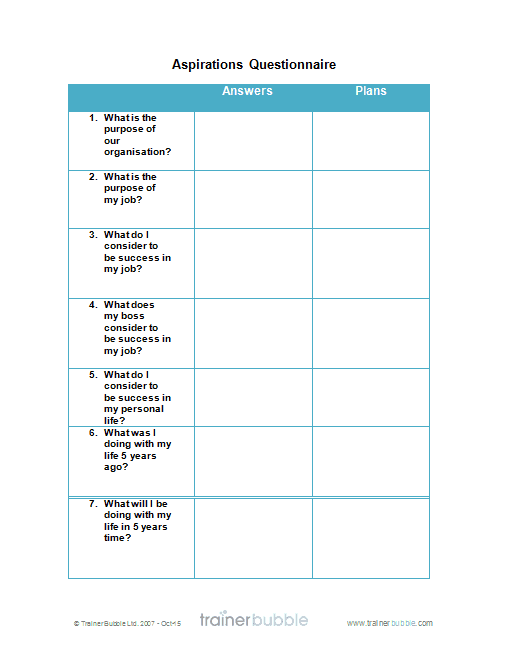 These materials allow you to run an effective session that really makes participants think about their time and work efficiency. 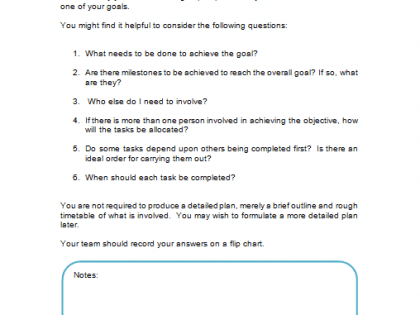 These training course materials will help develop the time management skills of your participants and ensure you deliver a successful time management training course. What are your time bandits? 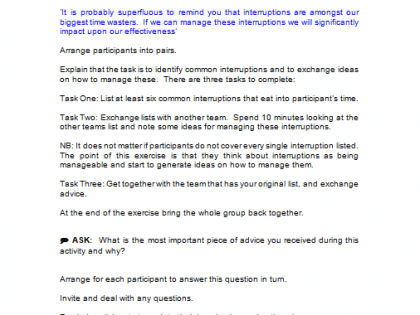 – An activity that encourages participants to work together to identify what prevents them making the best use of their time. 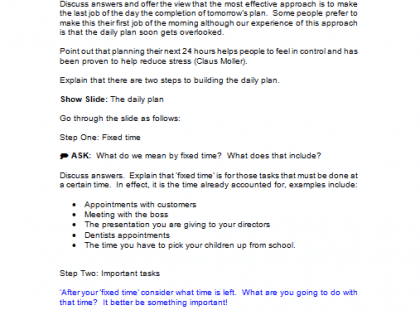 If I had more time – Participants ponder what they would do if extra time is available to them . 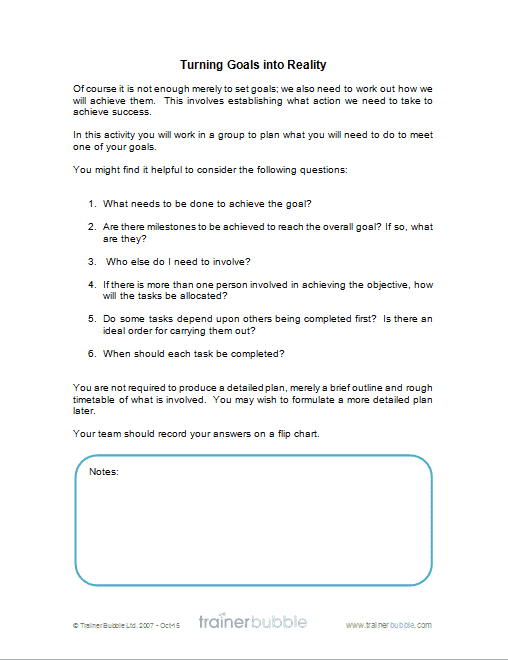 Ambitions and Long Term Goals – Participants complete our aspirations questionnaire to help them identify their long term goals. 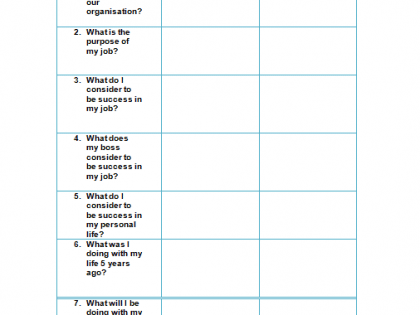 Turning Goals into Reality – An activity to help participants plan the activities which turns ambition into reality. 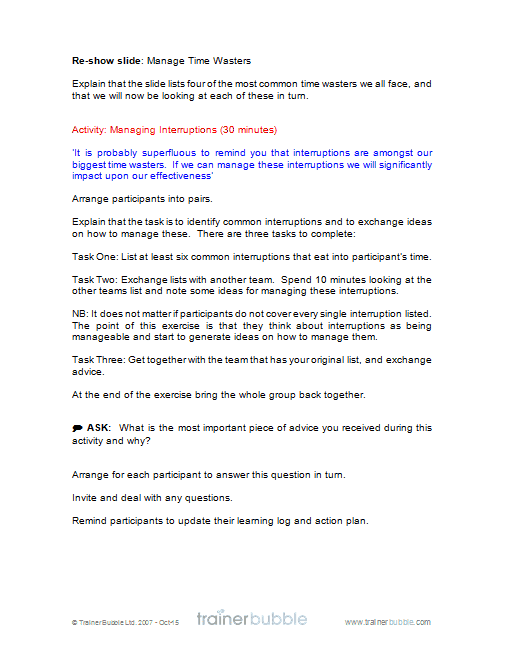 Managing Interruptions – Identifying and management of interruptions that interfere with our effectiveness. 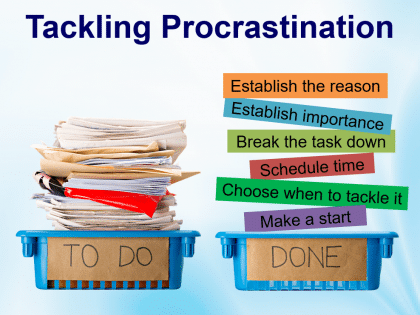 Procrastination – Activities to help participants recognise that they procrastinate, why they do it and how to manage it. Managing meetings – We investigate the cost of poorly managed or unnecessary meetings and consider how to overcome these issues. 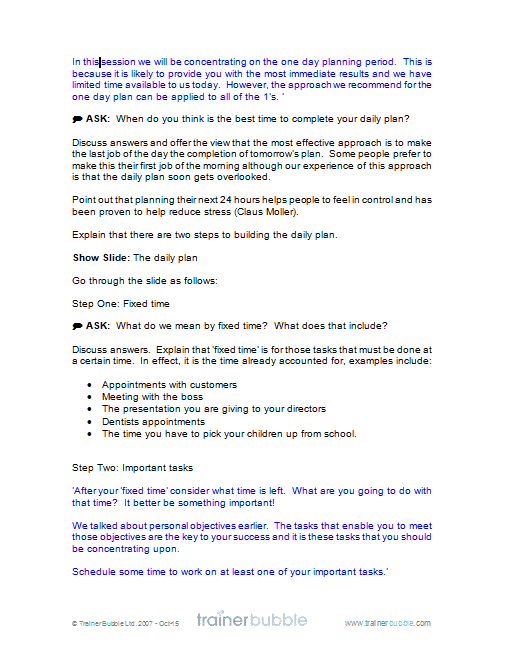 Delegation – Participants examine some delegation advice from famous people and consider the relevance to themselves.